I’ve made a couple of samples to demonstrate some of the methods of joining. This is a method I sometimes use when working in the round. Insert the hook into the next stitch to be worked and pull through a loop of your new yarn. 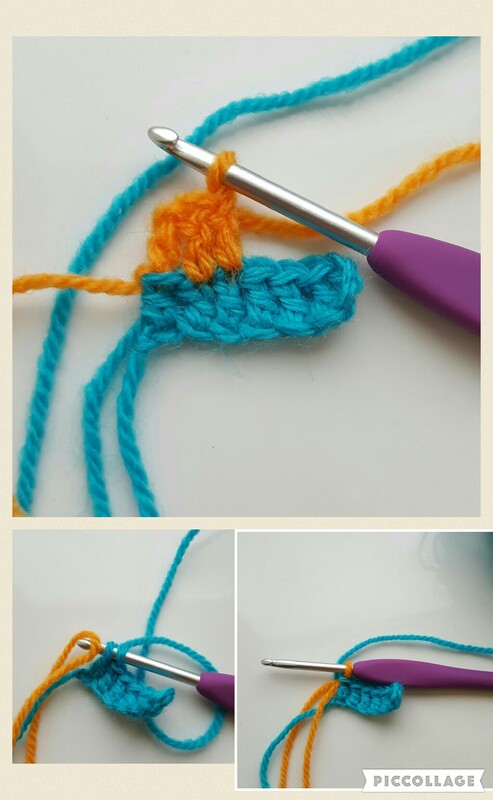 Make a chain to secure it and continue to make the number of chains required for the stitch you are using (1 for double crochet, 2 for half treble, 3 for treble). Then carry on with your project as normal, just using your new colour. You need to be very careful with the end of the new colour as there is no knot securing it-careful weaving in is a must! This is another join that is useful when working in the round. 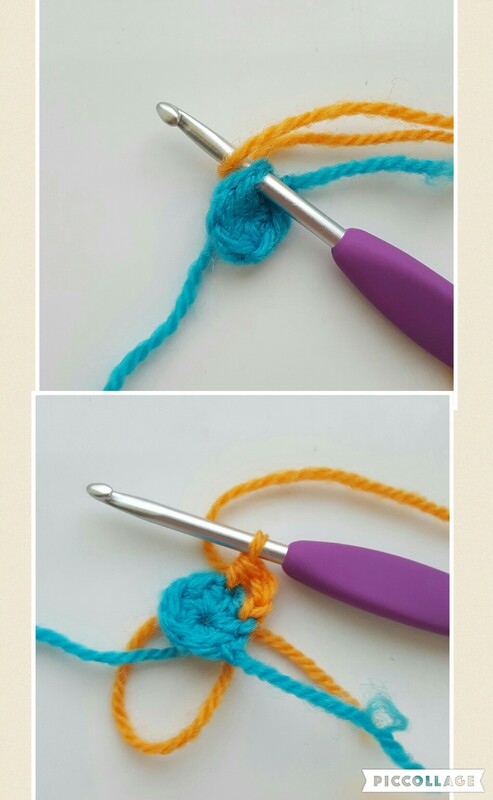 To begin with, you tie off the old colour and make a slip knot on the hook using your new colour. Then insert your hook into the next stitch and make the first stitch of the new round as normal. (If you are making a treble or half treble it can be a bit fiddly to keep the initial yarn over in place whilst you begin the stitch, it is worth persevering though.) When you finish the round you need to slip stitch carefully to the standing stitch; you may find you need to pull the wool a bit tighter in order to achieve a neat join. This method of joining is particularly good if you don’t like the effect of chains used to make the stitches of the next round the correct height. I personally prefer this way of doing it and I used it when making Sophie’s Garden. 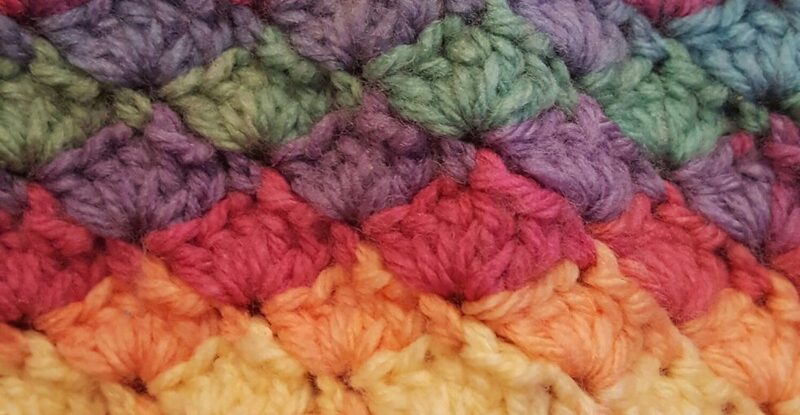 This method is really good for changing colours in blankets, or any project worked in rows. Make the stitch before you need to change colour (e.g. the last stitch of a row) up to the final pulling through of yarn stage. Then use your new colour to complete the stitch by wrapping it around the hook and drawing it through the remaining loops. If you are changing rows, you then make your chains to begin the new row as normal and continue working. This will give you a seamless change. If you aren’t changing rows then you just continue making stitches in the same way as you were in the previous colour. Again, because the ends have no knot, you need to weave in very carefully. 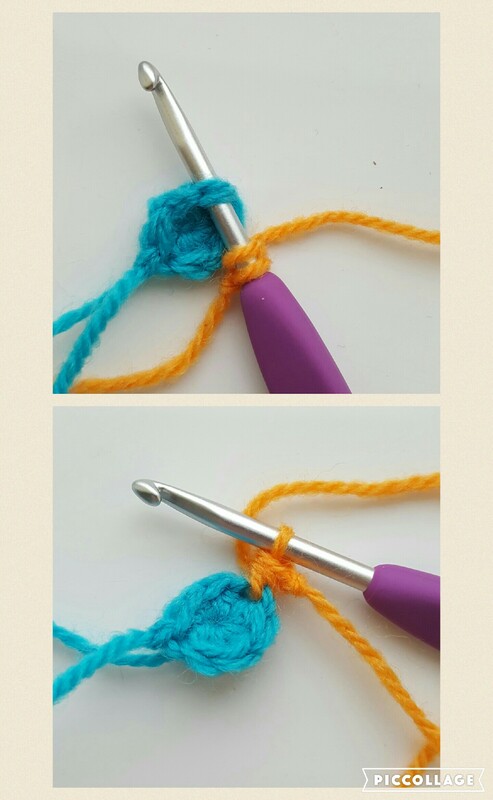 This is a way to join yarn without knots, for example when you run out half way through a row. I have never needed to use it, but this tutorial seems pretty comprehensive. It looks very clever and means there are no unsightly bumps in the middle of your project. I hope this little selection of joining methods is useful. No matter which method I’ve used, I always take time to weave in the ends because I’d hate my work to come unravelled. For more ideas of how to deal with ends, I wrote another post dedicated entirely to them! How do you join your yarn? Have you ever had a joining disaster?